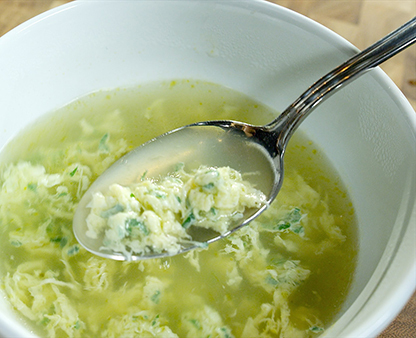 As we come into the dreaded flu season in Australia, I suggest you give this soup a try, it definitely has some flu fighting properties in it and served with some crusty bread it is a delicious meal in itself. Have a go at infusing some other flavours in it too, like ginger, garlic and tumeric for those who like to go that extra mile with their nutrients around this time of year. 1. Place stock in a saucepan and bring to a simmer. 2. Crack egg into saucepan and whisk gently. 4. Simmer for another minute. 5. Sprinkle with Parmesan and parsley, drizzle with extra virgin olive oil and serve immediately.